which is on the right hand side of the road north of South Cave. This was a new venue in 2013. The course is 2 laps around the estate grounds of Sledmere House. (Home Club - Driffield Striders). Start & Finish is on cliff top. The course takes in the ancient land mark of Dane's Dyke then heads off across the fields to Flamborough and returns along the cliff-top path to Sewerby. PLEASE USE THE FREE PARKING AT SEWERBY HALL. TOILETS ARE AVAILABLE THERE AS WELL. WE DO NOT HAVE PERMISSION TO PARK AT THE SHIP INN. Beverley AC, Bridlington RR, City of Hull AC, Driffield Striders, Goole Viking Striders, Pocklington Runners, Scarborough AC, Selby Striders, East Hull Harriers, Yorkshire Wolds Runners. Entry is free to BRR Club Members. Race numbers are to be retained for all races. 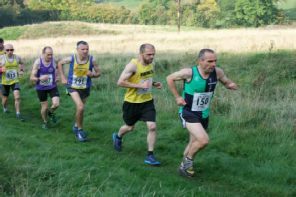 Due to increasing popularity from participating Clubs, limited facilities at rural village venues and the nature of the routes, Entry has had to be restricted to 1st claim Senior members of participating Clubs only and regrettably guest runners are not now permitted.